A YEAR OF JUBILEE REVIEWS: Rebels of Cordovia by Linda Weaver Clarke Book Launch! 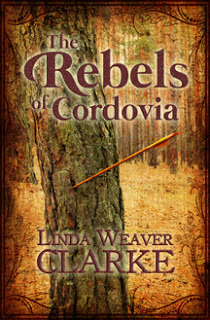 Rebels of Cordovia by Linda Weaver Clarke Book Launch! Book Release Celebration: Get 10 E-books for only $2.99. Anyone who buys Linda's sweet romance between June 24 – 28 will receive 10 free e-books and will be illegible for a drawing of three children’s books, a sweet romance, and two historical fictions.! Visit Linda's blog HERE to enter! Be watching later today for my review of this book!